Coastal Outdoor Lighting is a family owned and operated business & a division of Coastal Irrigation & Plumbing. When we first started in 2001 our primary business was sprinkler repairs & installation mostly in the Ft Myers area. We quickly grew our sprinkler service business and it was a natural addition for us to offer landscape lighting. We also expanded our service areas and now have teams working from Sarasota south to Marco Island. 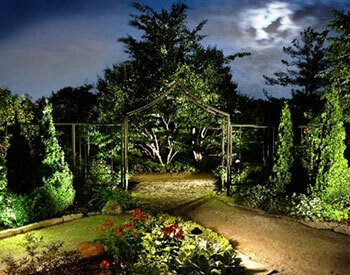 Outdoor lighting products have become more affordable and accessible to most home owners & small businesses. Technology advancements in low voltage & LED lighting has sparked interest in outdoor lighting ideas for enhancing nighttime security while adding beautiful lighting accents. Outdoor living is a big part of the Florida lifestyle. Lighting the night bright on everything from docks to lanais & walkways to outdoor kitchens prompted our family to dedicate resources solely to Coastal Outdoor Lighting. Our mission for Coastal Outdoor Lighting to provide the very best in outdoor lighting design, installation & products at affordable prices. Our team of expert lighting designers & installers have found there are 4 basic needs when it comes to considering outdoor lighting. 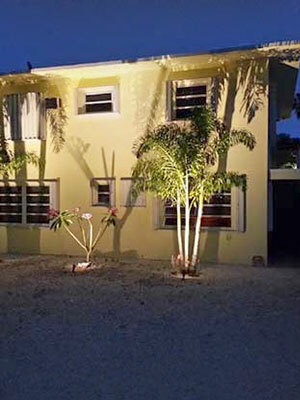 Our long list of satisfied clients confirms we are Southwest Florida’s leading outdoor lighting company. Fully licensed, bonded, and insured, Coastal Outdoor Lighting design professionals and technicians offer a variety of solutions to meet the demands of Florida’s outdoor environment. To schedule a visit to your home or business complete our online request form or for the fastest response call us today at (239) 491-6759.